Going into the finale of the Voice of the Philippines, it was obviously less about the singing and more about the loyalties that each of the finalists built up over weeks of trying to survive the show. Thus, I did not bother to take notes about the performances over the finals weekend; albeit, listening to four instead of more performers, I was convinced by Saturday’s individual performances that it is Klarisse de Guzman who has the most pleasing tone and arguably the best technique of the four. Saturday morning, I tried to conduct over Facebook a pre-survey to try and determine the amount of support that each of the singers had accumulated among the sampling of my social networking connections. Unfortunately, not enough participated to enable me to see a definitive trend. Still, for whatever it was worth, the little survey showed Klarisse de Guzman to be the clear favourite among the few respondents to the survey. Janice Javier came in second, followed by Mitoy Yonting and Myk Perez. While the sampling was random, the lack of numbers indicated that the survey could not be taken too seriously; and, indeed, it was always going to be Yonting’s title. I have written before about my suspicion that majority of the voting public is impressed less with tonality and technique and more with a singer’s ability to reach up to the stratosphere of higher notes. You might all have noticed the applause and shrieks whenever a singer reaches up and holds the high note in true Pinoy birit fashion. Of course, in the final reckoning when choices were narrowed down to Yonting and de Guzman, the voting ratio of 65-35 told the entire story. It was always going to be Mitoy Yonting’s title. In this regard, Mitoy Yonting had the advantage among the top four because of his naturally high-pitched voice. That said, he was arguably the least technical of the four; and, in fact, his high notes could sound painful to the eardrums. Coach Lea Salonga tried to make him more of a singer and less of a screamer; but the response never was the same when he tried to be more subtle as when he was screeching out the high notes. Thus, Yonting started to build up his following right from the blind auditions. In one of the earlier rounds, he garnered an astonishing 82% of the public votes, leaving the opposition with mere crumbs to hold onto. To get to the final at all, Yonting’s adoring fans overturned the 45-55 score that Salonga had given in favour of Radha. 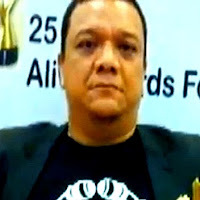 The only time when Yonting’s fans did not come through for him was when he had to sing off with Baguio City’s Darryl Shy. In this match-up, Shy actually earned more votes; but Salonga’s scoring ensured that Yonting progressed to the next stage. This was, incidentally, the week after Yonting’s overwhelming 82% vote returns. It could have been that Shy actually had the bigger fan base. On the other hand, it could also have been a case of complacency among the fans because of the previous week’s vote returns. And as if Yonting’s chances of winning the title were not favourable enough to start with, he could not have gotten a better boost than singing last night with Vice Ganda. The latter is a certifiable comedic icon in the country; and, indeed, on Twitter alone he has an amazing 3 million plus followers. Vice Ganda’s presence alone was an endorsement in itself; but the performance of ‘Total Eclipse of the Heart’ with Yonting and Salonga was not only musical but also very theatrical. It was, in my humble opinion, the most entertaining of the night. Of course, Jhong Hilario’s on-screen endorsement was no laughing matter, either. The biggest indication that it was always going to be Yonting’s title was the statistics on this web site. I was in a discussion after Sunday football with some of my players and I told them how Yonting had been bringing this site remarkable traffic from search engines right from the Blind Auditions. People were curious to know who he was. There would be upward spikes in the statistics on the morning of each show; and more every time Yonting performed. The searches would continue through Monday and Tuesday, die down in midweek and pick up again leading into the weekend. Last night, after the show, the searches were setting my statistics afire. This is made more remarkable by the fact that I had, in fact, dedicated only one article to Yonting. Indeed, I had written several articles about Lee Grane and Penelope Matanguihan. The fact that searches for the articles on the two Batangueñas subsequently tapered off was also, in a way, indicative that the two ladies would not go very far into the competition. Perhaps, it might have come as a bit of a surprise to some that Janice Javier failed to make the top two, conceding instead the second slot to Klarisse de Guzman. On the other hand, perhaps there was value to my little survey, after all; and that there are, indeed, discriminate viewers who recognised the musicality of de Guzman’s voice. Not only that. There is also the little matter of de Guzman having ‘pop’ written all over her. And pop is pop because it has the widest range of listeners. Sarah G’s persuasive powers were never to be underestimated, either.